NOTE: All the studio invites are manual. @W_L-notification invited you to curate the studio "New project!" I will also send a "What's Happening" notification. [W_L] New project! 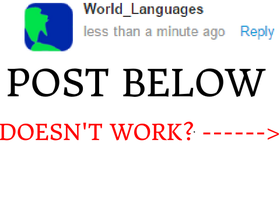 (World_Languages) // JOS 2!